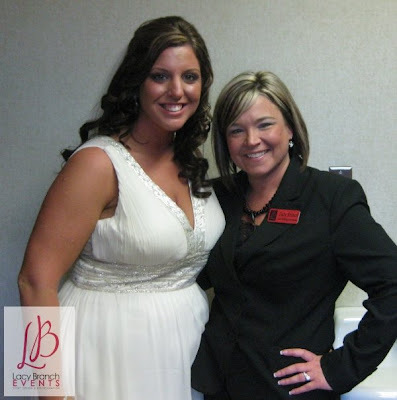 The beautiful bride and the charismatic Lacy Branch! 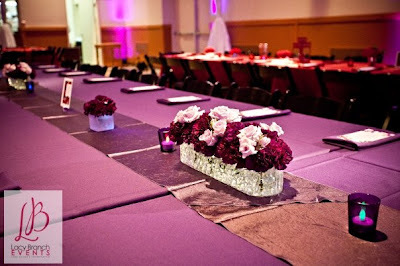 All of the personal flowers were a mix of royal purples, red, and fuchsia. 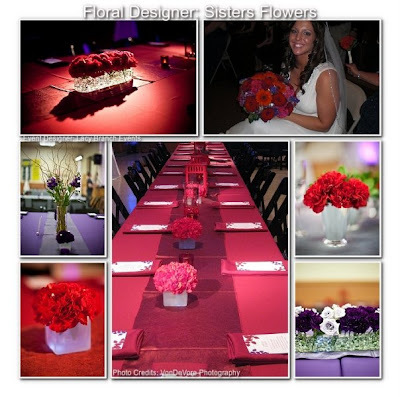 They included roses, gerber daisies, spray roses, hydrangea, and little flower crystals. 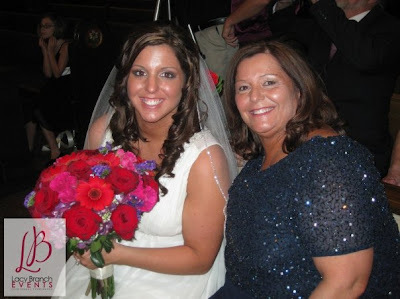 These bouquets really spotlighted the bride and blended well with the bridesmaids’ dresses. 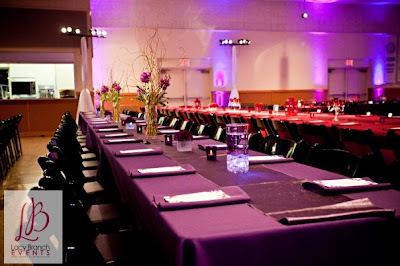 The reception design used the purples, reds, and pinks differently for the tables. 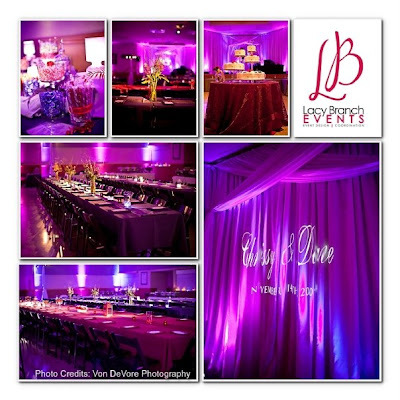 Here, the colors were separated– reds and pinks together, and the purples and lavenders paired. 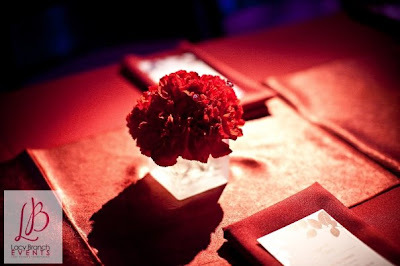 Some of the centerpieces were taller arrangements in cylinders and others were long and low rectangles and squares. 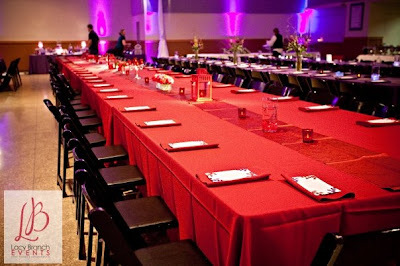 Lighting was an important element in the hall, so every low centerpiece was illuminated with LEDs to make the tables glow. 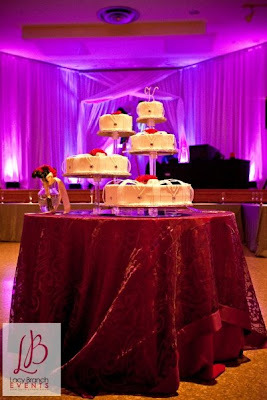 The cake was topped with a few gerbers on each layer, but the backdrop of lighting and fabric really made all the difference! Special thanks to Lacy Branch Events for coordinating this event! As always, we had fun working with you! 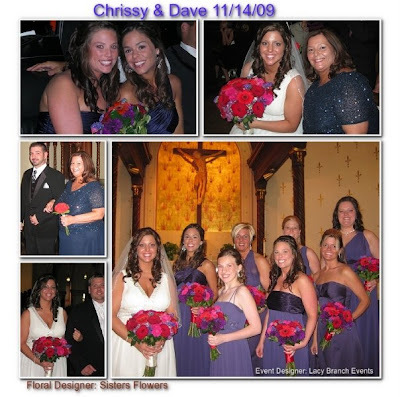 Best wishes to Chrissy and Dave and their families! !